We can’t deny the existence of the Huawei’s upcoming P30 and P30 Pro devices, which are already in works for quite some time now, and could be launch soon. Back in September, Huawei CEO, Richard Yu during an IFA 2018 trade show in Berlin, said that “Mate 20 will be even better than the P20 Pro, and next year the P30 will be even better “. Yu clearly hinted that the new Huawei P30 device is in works and will be coming times next year. However, it seems that online retailers have already started preparing for the arrival of the Huawei P30 and P30 Pro devices. Online retailer Olixar, better known for selling smartphone cases has listed around serve cases for the upcoming Huawei P30 and P30 Pro devices. 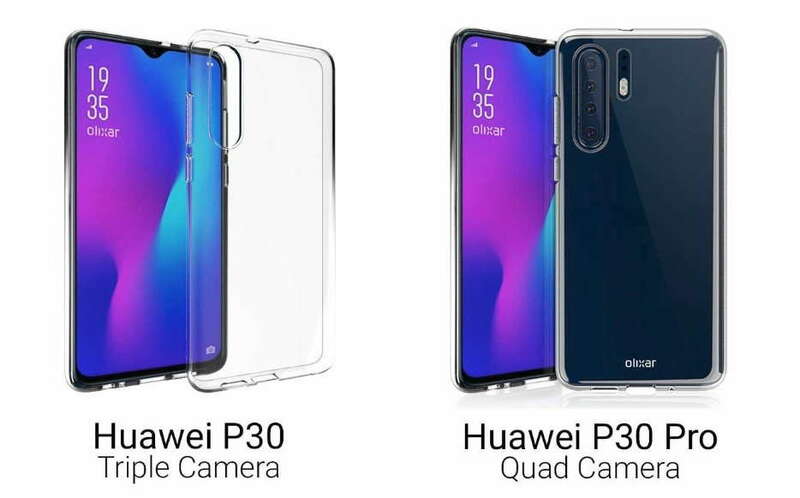 As first spotted by folks at droidshout, the Huawei P30 and P30 Pro cases range includes different case type starting from simple to transparent cases to the ‘Armor’ edition. The case is available in Multiple color options with prices ranging from $5.49 for the simple cases to $21.49 for the leather pouch. This is not the first time when Huawei’s P30 and P30 Pro case have appeared online. Recently its new transparent case of the Huawei P30 was leaked along with the Samsung Galaxy S10 case. However, the cases from Olixar now also confirms the quad camera setup on the upcoming Huawei P30 Pro and the waterdrop Notch on the display.